When you are getting ready to rent your home in Utah’s Dixie, there are a few easy things you can do to make sure your property is in the best shape possible. 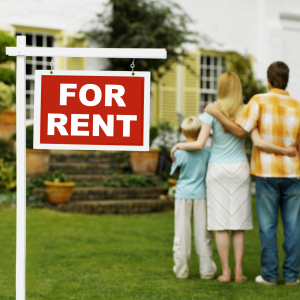 Not only will you attract better quality renters, you’ll also have peace of mind, knowing that your home for rent in Utah is as clean and safe as possible. You don’t want to worry about your possessions when you rent your home. So you’ll want to make sure that your personal belongings are safe and protected. Here are some steps to take care of personal property quickly and easily. The best tenants want the best homes. A general surface cleaning is fine for some renters. But if you want to get top dollar for your rental home, you want to pay attention to the details. Follow this easy cleaning checklist of items to make sure your home looks great. Never underestimate the importance of the outside of your home in attracting renters. Little things you do can go a long way to improving the appearance of your home. It doesn’t have to take a lot of time for you to prepare the outside of your home. Take a look at our suggestions for curb appeal and you’ll see what we mean. It isn’t difficult to review your home to make sure that everything is in good working order before your tenants move in. Just use our maintenance checklist to get started. Making sure that everything is functioning properly will give you peace of mind and make things easier if anything needs fixed later. It is a good idea to make sure that your house is as safe as possible before tenants move in. We recommend getting a home inspection to show that everything is compliant. This shows your renters that you are a good landlord and sets the expectation for them to be good tenants. Here are our tips for finding a good home inspector. Landlord insurance is different than homeowner’s insurance. You’ll want to make sure you have landlord insurance before you begin renting your home. If something should happen, you will have the peace of mind that you are protected. A good agent can make this process easy. Here’s how to find an insurance agent.